Why technology companies might one day win Lions. I have just returned from WPP's Stream Cannes event from which I took away two very distinct observations. One, slightly tongue in cheek; the other a little more weighty. Of which more in a moment. 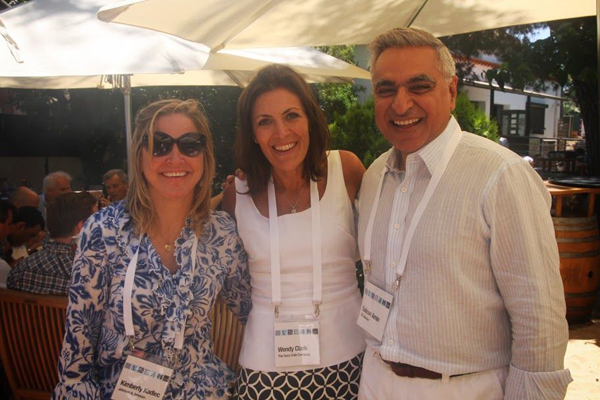 But I really should start by saying that, aside from picking up WPP's award as Creative Holding Company of the Year for the third time in succession, this event was the highlight of my week on the Cote d'Azur. It took place on what is now (almost) officially referred to as Stream Island. 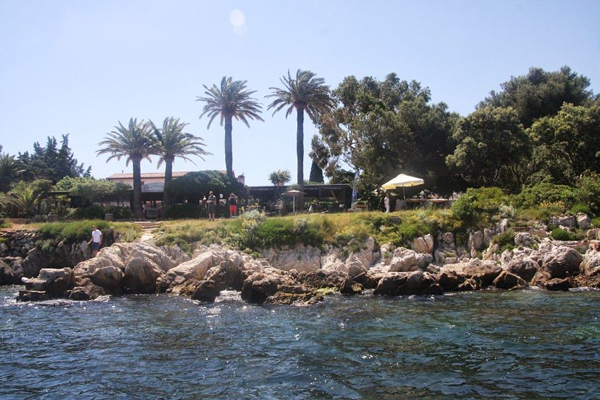 Yes dear reader(s), there is an uber-cool island just off the coast near Cannes: two in fact. 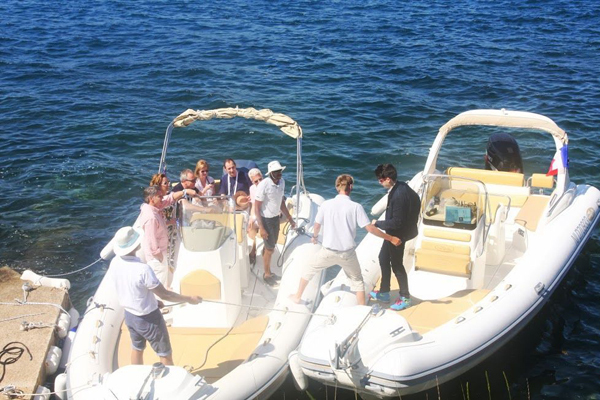 And as if Le Boulevard de la Croisette were not glamorous enough, I and a select group of lucky invitees were speed-boated the mile or so to the mini paradise of Île Saint-Honorat. This of course is all part of the magic of Stream. From first to last you have to keep reminding yourself that you're at work, and that you're attending an important series of mini seminars from some of the most capable and interesting people in the ever-evolving digital media world. Speakers from Vodafone, Facebook, Google, AOL, Tumblr and more all listened and shared, and took in the breathtaking views. And, I'm willing to bet, all would sign up tomorrow for the next Stream event. They variously mused over when and how devices will start speaking to each other, without humans directing them to do so. We learned what mobile will mean to the next five billion smartphone users (or consumers as we marketing folk like to think of them). And we were told about Snapchat, a pictures and movies sharing platform that will apparently revolutionise the way we engage with great social and political movements, although I suspect it may also come as great relief to parents, with its built-in expiration of all images and videos (they can only be seen for a maximum of ten seconds -- phew!). All the presentations were of the usual high calibre. All had new and interesting things to say which, to my mind anyway, is a very unusual phenomenon, having attended many conferences in recent years covering a huge variety of pretty much the same thing. Perhaps that is why Stream is deliberately styled an "unconference". And so to my two observations. Of the first: you may be familiar with that old adage about the police, that "they seem to get younger every day." You may even have uttered the phrase yourself. If so, you might want to look away now. Because, where once a thirty-something with a point of view was regarded as slightly uppity, we have quickly moved to a place where to be twenty two, and on your third or fourth start-up, is no longer something to excite the publishers of a certain Book of Records. But that is as nothing when one sits in rapt attention listening to Nick D'Aloisio discussing his and our collective digital futures. Nick wasn't satisfied with the way news articles were presented on smartphones. So he developed an app that would sum up the information that he - and, as it transpired, hundreds of thousands of people -- required, in a much more concise form. He won't be eliciting the same "...younger every day" tag as this year's fresh batch of police officer cadets. Ironically, he's too young to join the police. But, in this new and exciting age of accelerated progress, he's not too young to be a veteran of the digital start-up zeitgeist, having devised his app, Summly, two years ago... aged fifteen. Impressed as we all were that Yahoo! just bought Summly for a cool $30m, Nick's presentation raised the second of my Stream take-outs. I should say, raised it again -- and, indeed, resolved it. It was a technological/philosophical debate I'd been having with an old friend from a previous (professional) life, who argued that that very human trait of creativity, was not beyond the realm of technology and would itself be replaced by artificial intelligence. He said that A.I. will quickly move to a more empathetic level, capable of inspiring and being inspired. It would thus become creative. (This may have just become the god-article!). Anyway I defended flesh, blood, bone and brain against this dystopian (my prejudice) future. And I think Nick proved my point. Cannes, or at least the Cannes Lions, is essentially an advertising award show. Minds are set on "creativity" as defined by that medium. So, beautiful imagery, clever word play, smart use of celebrity association et al are all admired and indeed awarded. Stream Cannes is not so easy to package, which is another part of its magic: the next Stream will be entirely different to this one. Stream is not inhibited by narrow definitions. Instead it explodes in every direction, to remind us how narrowly we marketers have come to frame this most human of all human attributes. Creativity. Nick D'Aloisio used his to harness technology, in order to solve a problem that we all face. That problem, despite my friend's predictions, was never going to solve itself. Because, to do so, it would have to acknowledge that it was itself, the problem. Technology is not given to self-doubt: again, a very human attribute, and a driver of progress down the ages. Listening to Nick I was reminded -- as an ad guy who was very keen to see as many WPP companies win as many awards for their creativity as possible -- that vision, ingenuity and invention come in endless different forms. Stream Cannes showed me, as it always does, that I am in a much bigger creative universe -- albeit, happily, still a very human one. Nick didn't receive a Cannes Lion. Perhaps he should have.